Here is a great cardio workout using just a bench, step or box. To progress, carry dumbbells in your hands or wear a weighted vest. To modify, use a lower step or box. Always Ready! We recommend the Reebok Deck! 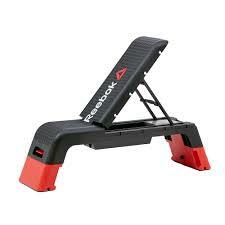 It can be used as a cardio step and a weight bench! Older PostKeto Vegan Taco "Meat"